The city of South Pasadena is located in southern Pinellas County, near St. Petersburg and is one of the many cities in Florida that has the opportunity to obtain the services of Done Rite Party Rentals. We rent out bounce houses and other inflatable rides for birthday parties and other special events. An interesting fact about the city of South Pasadena, Florida is that it still operates under a commission form of Government depending on five commissioners. Each has one city department that he oversees. In contrast, Done Rite Party Rentals is a company that handles business as a unit. Our family operates our bounce house party enterprise as a united front, a much simpler method of conducting business matters. We deliver, set up and remove all party rentals in a timely manner. All party equipment will be ready to go before the start of your event. Our inflatable bounce buildings and water chutes can be located in most venues….backyards, parks and more. All that is required is that the area has ample space for set up. Bouncers and all inflatable party rides from Done Rite Party Rentals aren’t just for birthday celebrations. Consider how much more exciting a picnic or a neighborhood fair could be by adding one of our spacewalks, bounce castles or even a water slide to cool things down. To a child, jumping up and down on the bed is just playing and having fun but in reality, that type of play is an accident to happen. A much better way to allow activities, such as tumbling, jumping and bouncing is to provide a safe bounceable surface. We can help folks in South Pasadena put a smile on a little one’s face. All you have to do is rent an inflatable ride from our company. Done Rite Party Rentals offers bounce houses and castles, moonwalks, jumping houses and water slides for a reasonable price. Our bounce houses and all inflatables come in various sizes and themes and our water slides can be selected by height….we offer sizes that are appropriate for the little ones and some more suited for adults to ride. 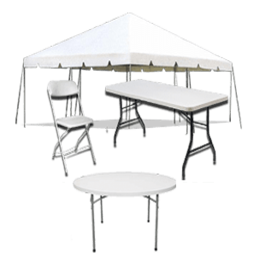 Extra rentals include tables, chairs and tents. If you are planning a special event in the town of South Pasadena and like the idea of introducing a bounce house themed party, Done Rite Party Rentals is the company that can furnish everything you need to ensure a successful and fun experience. 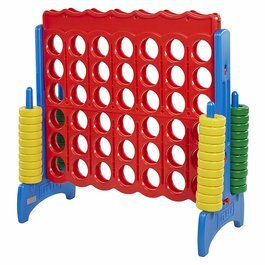 If you are “on the fence” and not quite sure what size bouncer to rent or if you want to include games, our family consultant will be more than willing to help you make the choice best suited to you. Party inflatable packages are often the pick of South Pasadena residents. 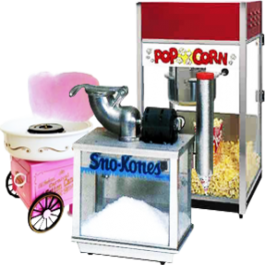 For the ultimate bounce castle party experience, rent one or more of our vending machines...popcorn, cotton candy and snow cones. Kids and grownups need a little sustenance between all the jumping and sliding activity. 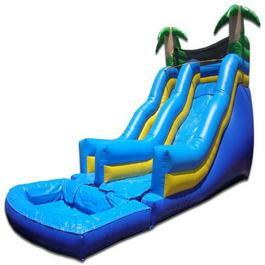 Done Rite Party Rentals is a company that believes fun should also be tempered with safety. 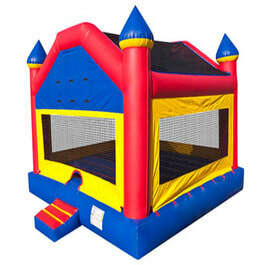 Our inflatable jump houses and moonwalks are anchored securely and all bounce house equipment is washed and sanitized. Make your next celebration in South Pasadena the best it can be by bringing Done Rite party bouncers and other inflatable apparatus into the mix. We are a licensed and insured company. We comply with all city and county codes.